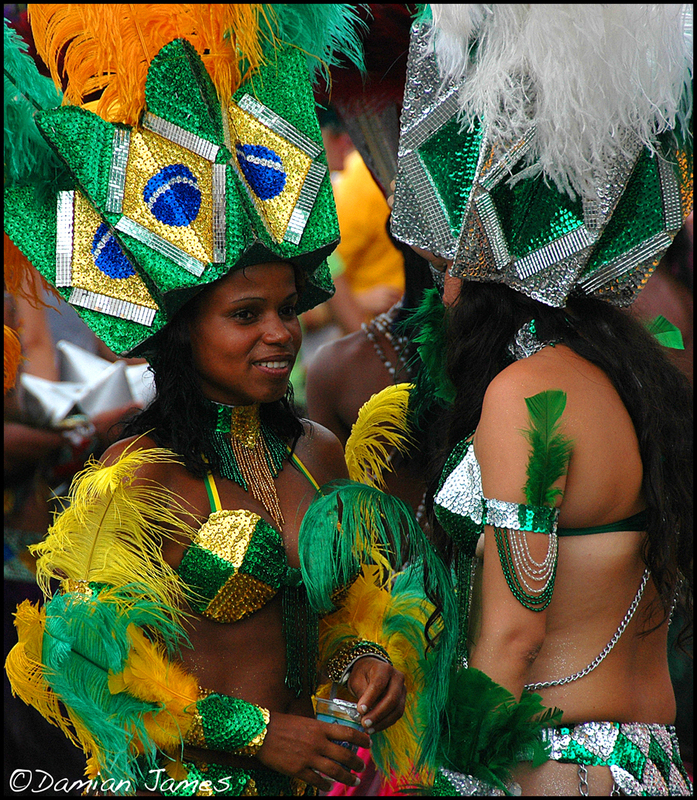 Mention Brazil to most people and their mind instantly conjures up images of bronzed beach bodies, soccer (futebol…oops), samba and Carnival. 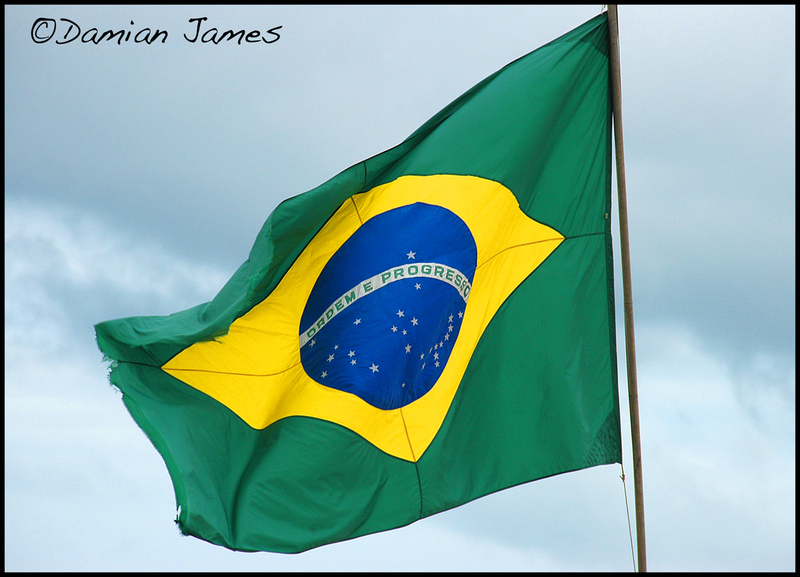 Yes, the aforementioned are definitively Brazilian…but there is so much more to this country than what the “mainstream/media” mentality suggests. First, they speak Portuguese in Brazil, not Spanish, so I’m happy to clear up that little misconception right off the bat (though I’m still considered a “gringo” in both languages). In addition to the stunning beaches and festive atmosphere that is widely promoted with the Brazilian label, there exists a bevy of cultural, historical and natural sights that every visitor would be keen to keep on their radar. Here’s a list of my Top 10 favorite places in Brazil (in no particular order, cuz they’re all awesome). I can only speak of the places I have been to, so please don’t get riled because I haven’t listed the Amazon on here (it’s on the bucketlist…I’m working on it). 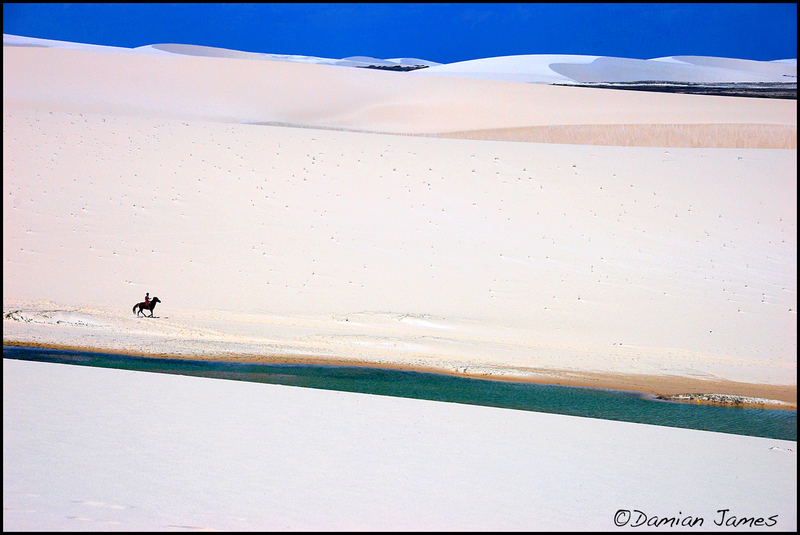 When people speak of “wanting to get away from everything”, Jericoacoara is the place they are imagining. A remote village on Brazil’s northern coast, 150 miles from the closest big city and only accessible by bumpy dirt roads, Jericoacoara is a true “known little secret” on the Brazilian map of secluded and wildly beautiful places. Sand dunes and sea dominate the landscape here, with the wind constantly shaping the dunes like a sculptor under the sun. 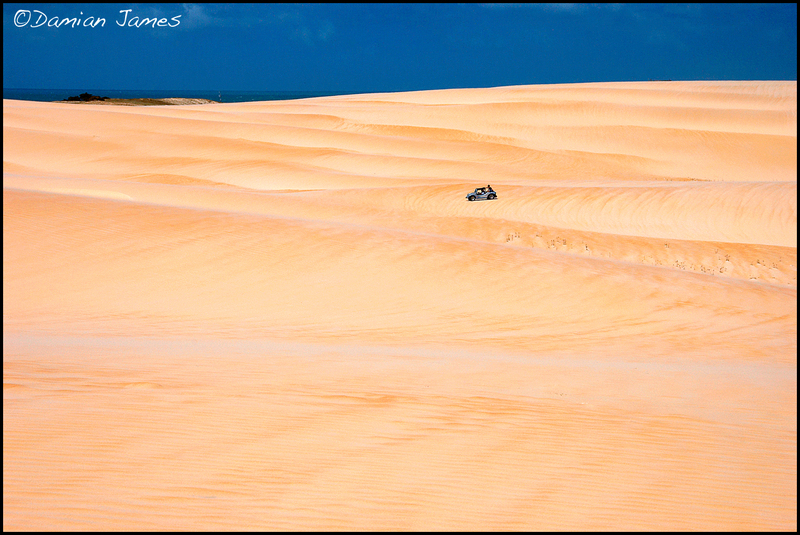 It’s topographical uniqueness, with massive sand dunes bordering the paradise-blue Atlantic Ocean for miles and miles, makes for a natural setting unlike any place you might imagine. Though Jeri has been on the radar of the independent traveler for some time now, it has retained its unspoiled village character and “getaway” vibe…with no paved roads, stoplights or high rises…nothing more than about six sandy streets filled with just enough cozy hotels & bungalows, restaurants, bars and shops to accommodate its visitors. Due to its unique geographic location, it is one of the few places in all of Brazil where you can see the sun set over the Atlantic, which has become a daily tradition, as everyone treks up to the top of Sunset Dune each evening to watch the last bit of sun fall behind the horizon. I’m from California (home of the perfect sunsets 😉 ), so typically it wouldn’t be a big deal to me…but in a place like Jericoacoara, every minute is a moment to remember. I knew I was in a different kind of place when a stray cow strolled right past my table while I was eating outside at a local pizzeria one night. Poor guy was probably on the menu the next day. 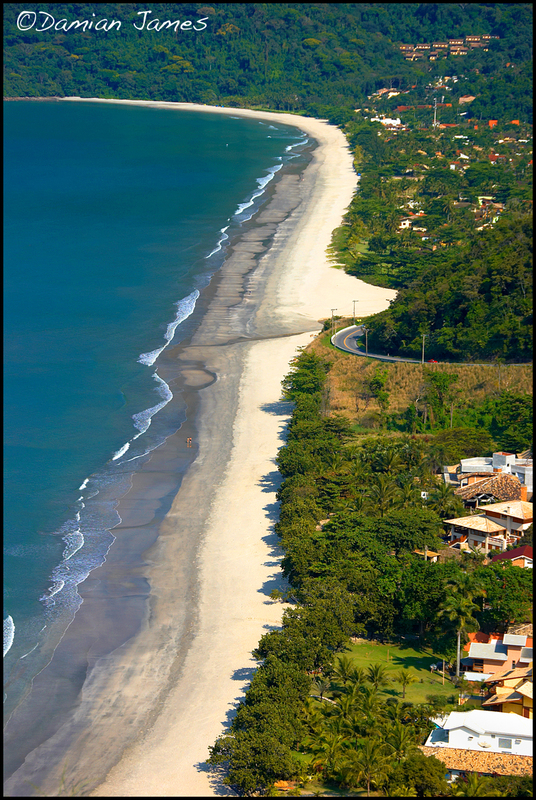 Between the states of São Paulo and Rio de Janeiro lies perhaps the most beautiful stretch of coast in all of Brazil. Called the “Green Coast” for a reason, this lush and dramatically stunning slice of mountainous coastline travels through what remains of the original Atlantic Rainforest, passing along some of the best beaches in the country. The coastal road winds its way around verdant mountains, forest, quaint beach towns and dramatic views of the Atlantic for nearly the entire stretch…providing access to a host of tucked away beaches where one can stop and set up shop in the idyllic setting of their choice. Yup, this drive pretty much ruined it for all the beaches back home. Sorry Newport and Huntington, please don’t take it personal. 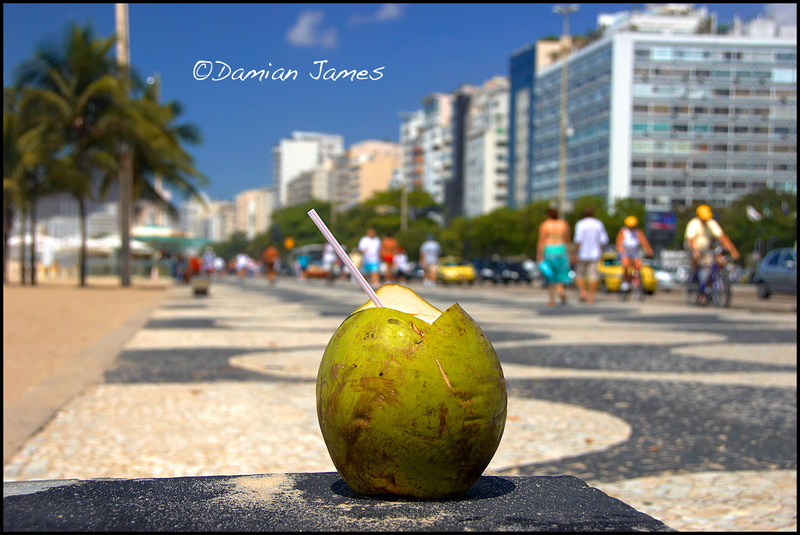 Home of the Carioca, samba, The Girl From Ipanema, Copacabana…Rio’s reputation surely proceeds itself. Brazil’s most popular city also has one of its most dramatic natural settings, and plenty of sights and sounds to keep you entertained for the duration of your time there. With world-renowned beaches like Ipanema and Copacabana, one doesn’t have to stray too far from the coast to enjoy the best of what Rio offers up to its visitors. 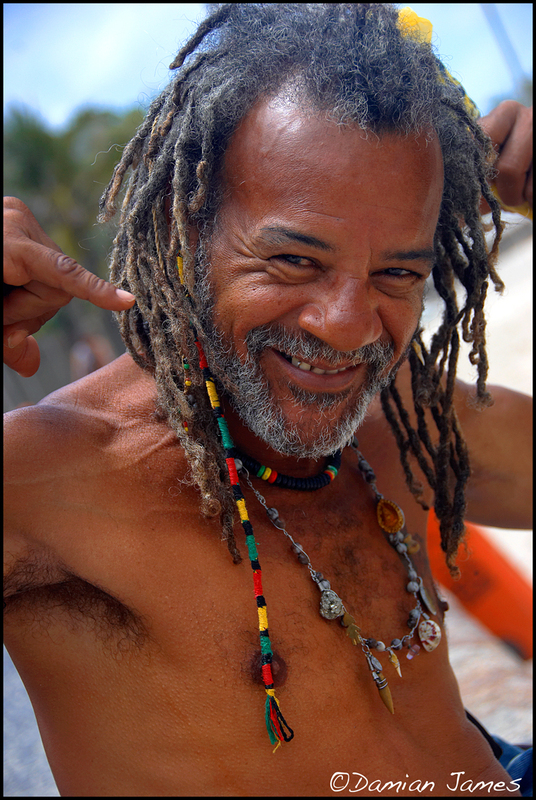 There is a constant energy felt here…whether it’s the carefree and friendly beach vibe of the local Cariocas or the spirit of Carnival warming up for its grand appearance each February. 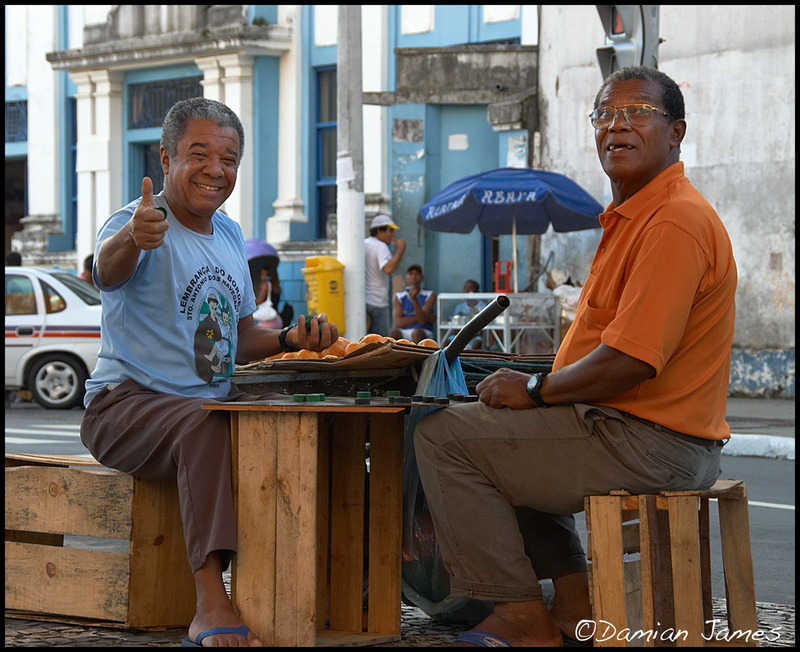 Rio will keep you moving to its native beat, and invite you to sample more the longer you stay there. After touring the “must-see” sights like Christ The Redeemer and Sugar Loaf, I recommend ignoring your hotel receptionist’s inauspicious advice and take a tour into one of Rio’s many favelas (shanty towns) for an opportunity to experience the “other side” of the city. The day-to-day life in the favela provides a fascinating and raw contrast to the upscale, heavily-promoted tourist side of the city. 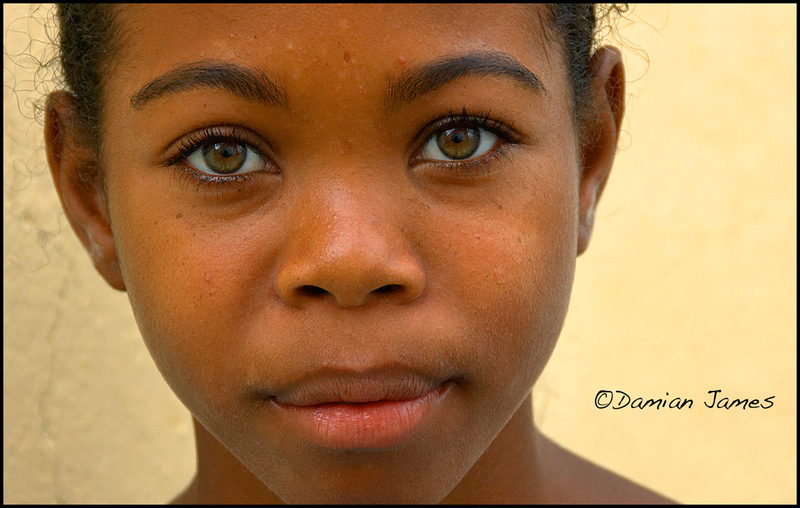 In spite of the difficult living conditions you will find here, the people who live in the favela are extremely genuine and welcoming…retaining the same smile and hospitality that you will find throughout the entire country. This World Heritage Site is the colonial gem of Brazil (I haven’t been to Ouro Preto yet, so I’m gonna roll with this one). 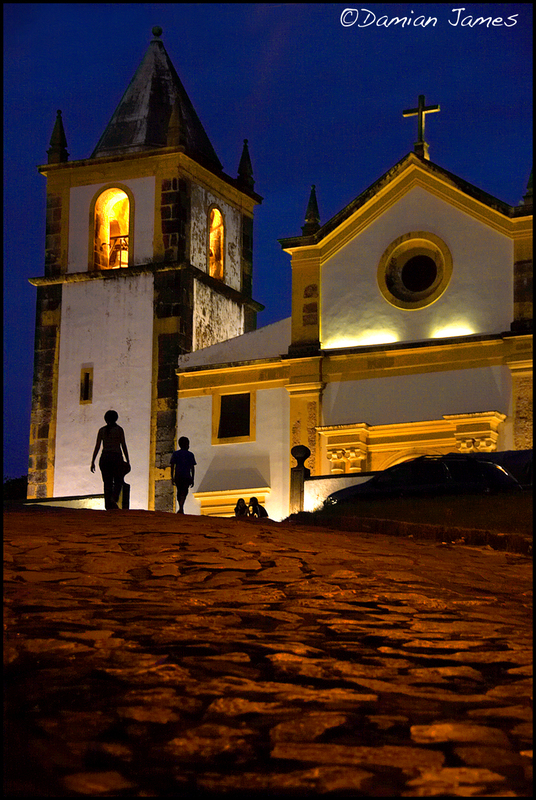 Olinda is filled with some of the finest 16th century buildings, churches, gardens, parks, plazas and photogenic streets of anywhere in the country. It’s setting is ideal, perched up on a hill overlooking the Atlantic Ocean and the surrounding tropical landscape. 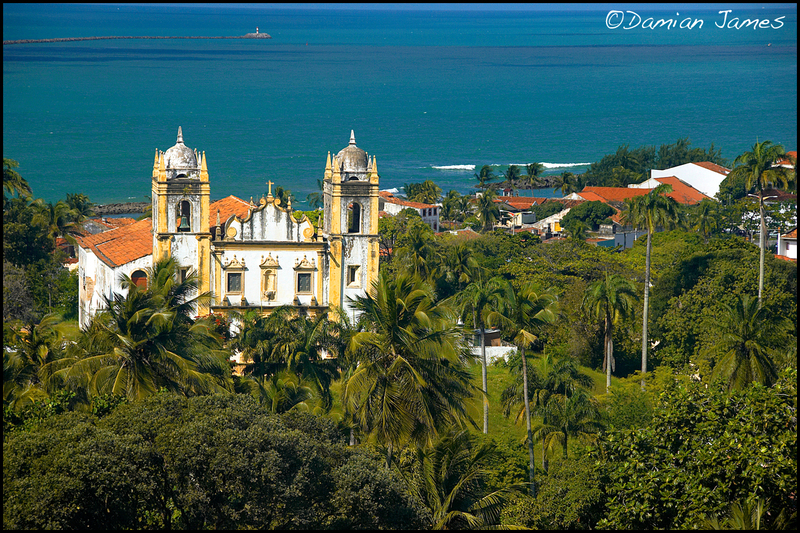 Olinda makes for a very inviting travel destination for those who wish to enjoy a combination of natural beauty and history. Time truly slows down here. Don’t go walking too fast down those cobblestone streets, as you might trip on an oversized stone or run over an old man with a cane who is simply enjoying his afternoon stroll. 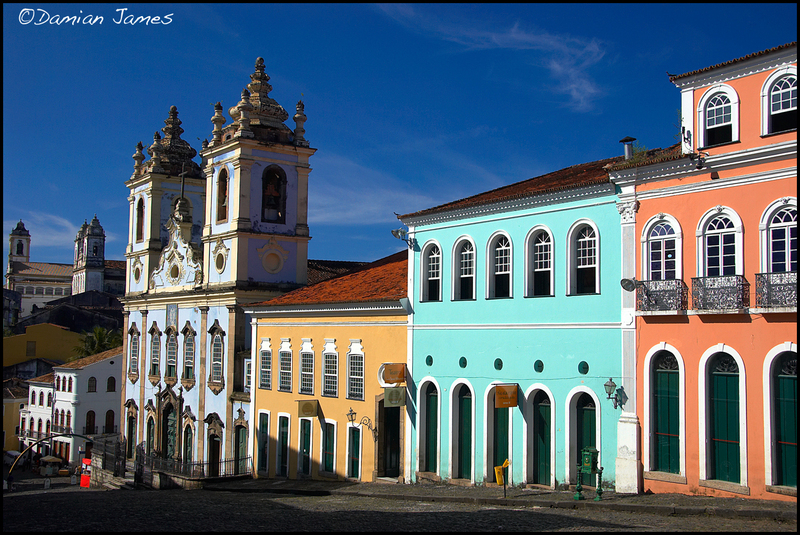 Olinda is also known for hosting a very colorful and lively Carnival celebration…and it’s free for everyone, unlike those in Salvador and Rio. This area of the coast has been known for having shark activity, so you might want to stick to enriching your knowledge of colonial history here rather than testing your surfing skills. Recently voted as one of the New 7 Wonders of Nature, Iguazu Falls should be at the very top of your “must see” places in Brazil. An awe-inspiring sight to say the least, it is the widest waterfall in the world with the highest volume of water flowing through it. 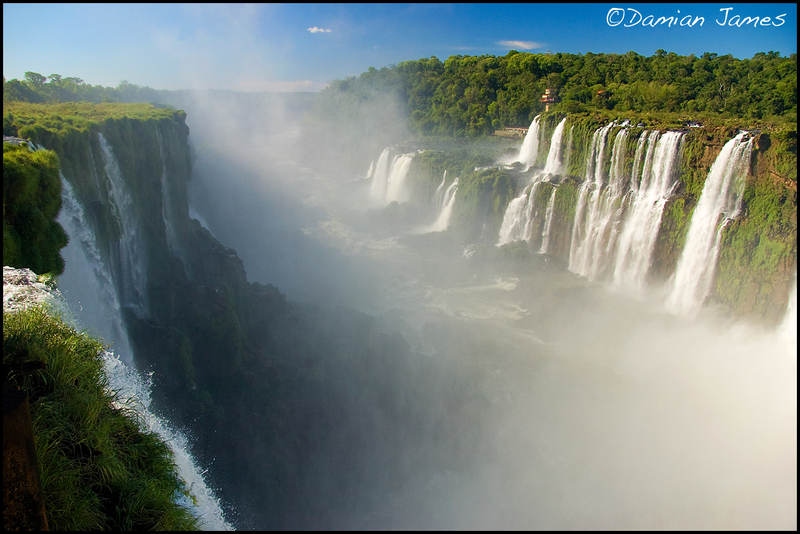 With one side in Brazil and one side in Argentina, you can appreciate the falls from different views in two different countries. 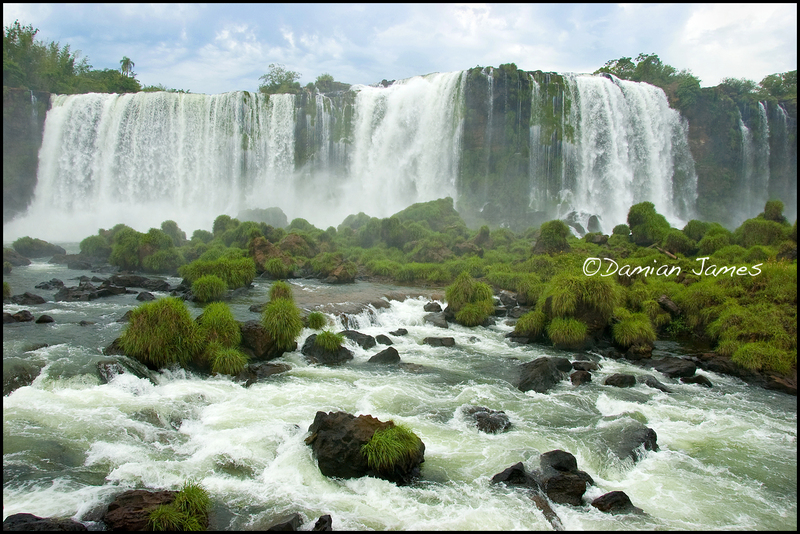 Though the Argentine side offers the most intimate and close-up view, the Brazilian side gives you the full wide-angle perspective and allows you to walk out into the center of the falls and be surrounded by 360 degrees of nature’s power at it’s finest. If you’re like me and your bladder sensitivity is cued by running water, you might want to go to the bathroom before visiting the falls. 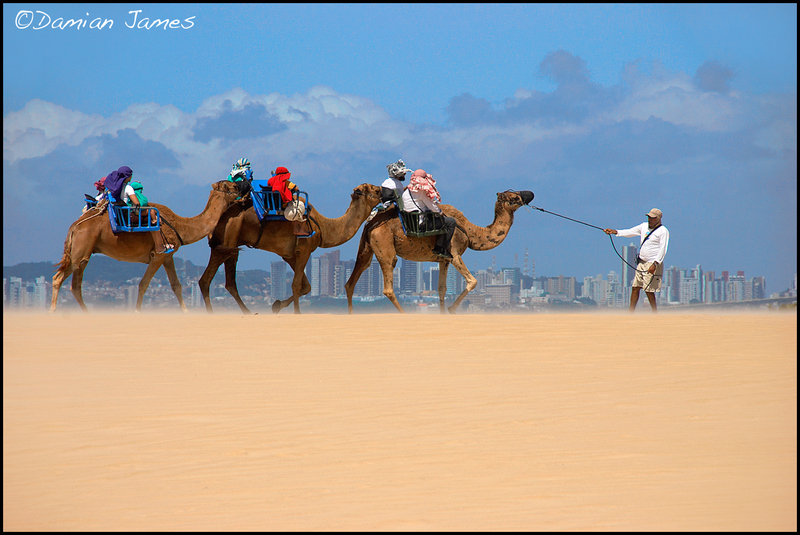 Sand, beach, sun, dunes, dune-buggies, camels, tropical scenery, wind-surfing, kite-surfing…yup, Natal is one big playground of outdoors fun! 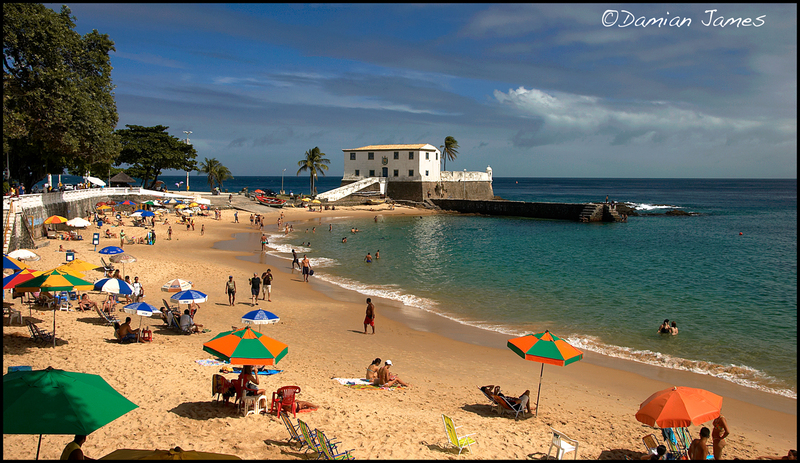 Lying 6 degrees south of the equator, the sun shines on Natal for over 3,000 hours per year. My math isn’t great…but that sounds like a heck of a lot of sunlight to compliment all those outdoors activities (spf-100 will do fine). The city itself is quite modern and interesting in its own right, but most people come here to hit the dunes and explore the coast. With that much sun, who wants to be indoors anyway? 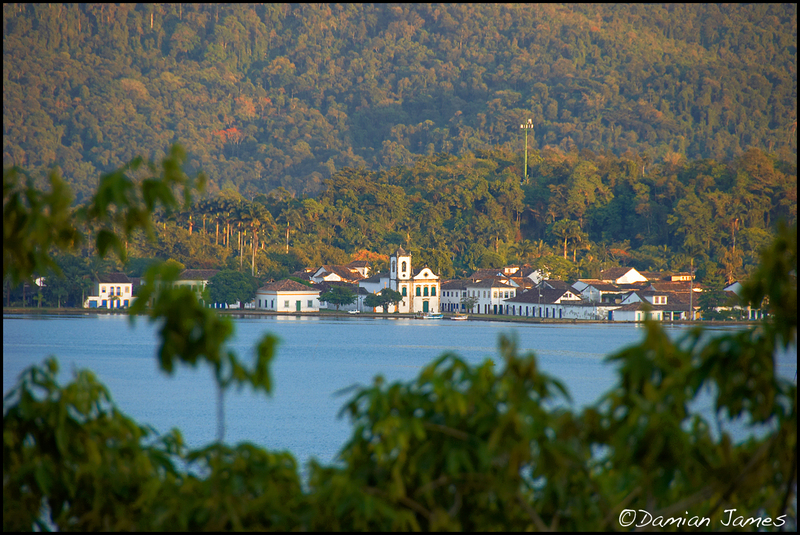 One of the best preserved colonial towns in the country, Parati (or Paraty) is a lovely and charming place located near the southern end of the state of Rio. This historic coastal village, which thrived as a major port during the gold rush, is like a living museum, home to some of the best Portuguese colonial buildings in all of Brazil. It’s original cobbled streets, colorful architecture and attractive baroque churches can be enjoyed with a leisurely stroll through the Historic Center District, where no automobiles (except for taxis) are permitted to enter. 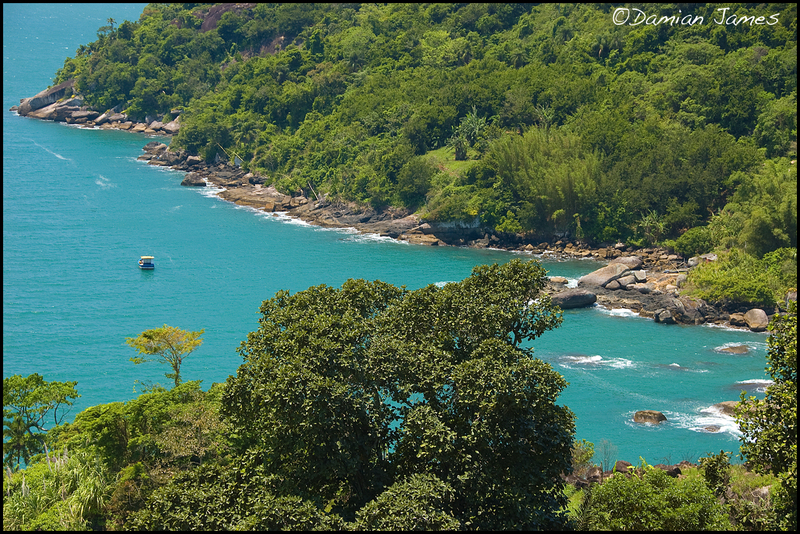 The nearby forests, waterfalls, islands and emerald-green sea make for a beautiful setting in a very relaxed natural environment. Parati is also one of the major producers of Cachaça, the popular Brazilian spirit (similar to rum). If you haven’t tried it in Brazil’s national drink, the Caipirinha, please heed my expert and experienced advice and drink it slooooow! The morning-after effects can be quite unforgiving. Florianopolis is one of those places you never want to leave. A diverse and developed island off the coast of Santa Catarina in the southern part of Brazil, “Floripa” (as the locals and “cool” tourists call it) has something for everyone. There are 42 scenic beaches that attract people from all over the world, some beaches with a “see and be seen” reputation, others more low-key and family oriented. 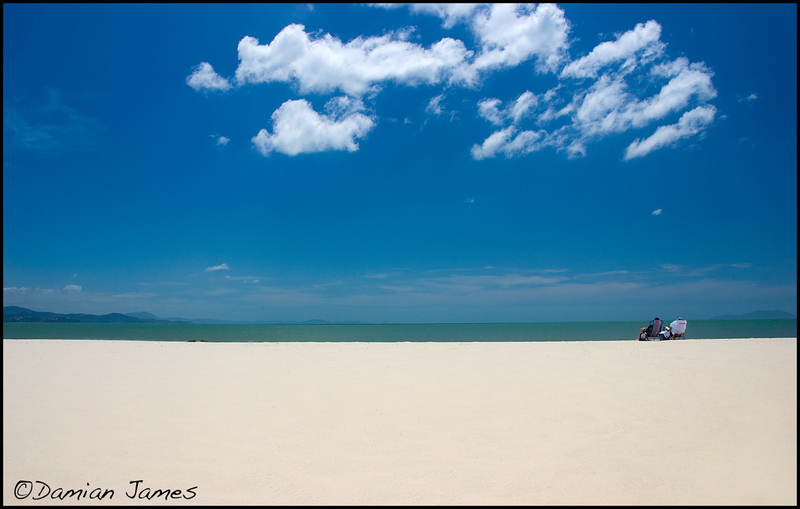 Florianopolis is known for having a high quality of life. It is a University town, attracting many students from upper-middle class families from the mainland. The cosmopolitan downtown area of Florianopolis is quite modern, with large shopping malls, high-end restaurants and many glamorous bars and nightclubs. The seafood is awesome! I had some shrimp so succulent I almost bit my finger off. 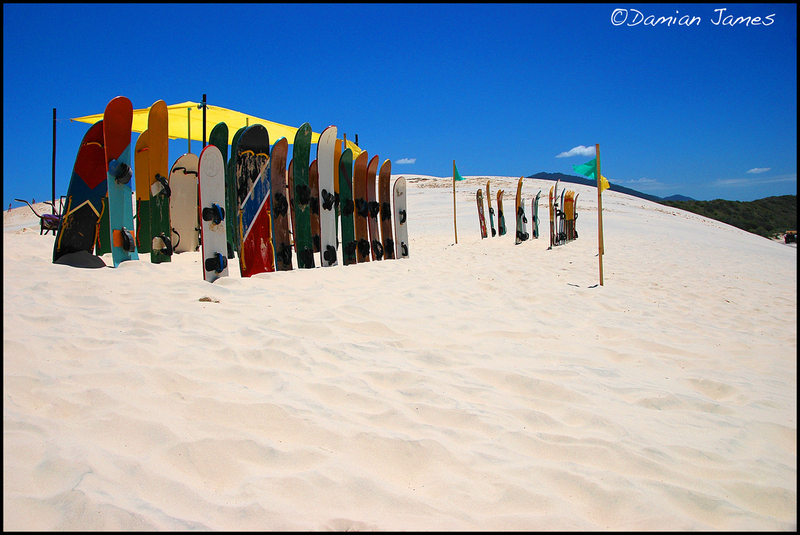 As one of the surfing capitals of Brazil, Floripa invites sun-loving beach bods to gather on its white sand beaches throughout the summer, especially during the prime surfing season. 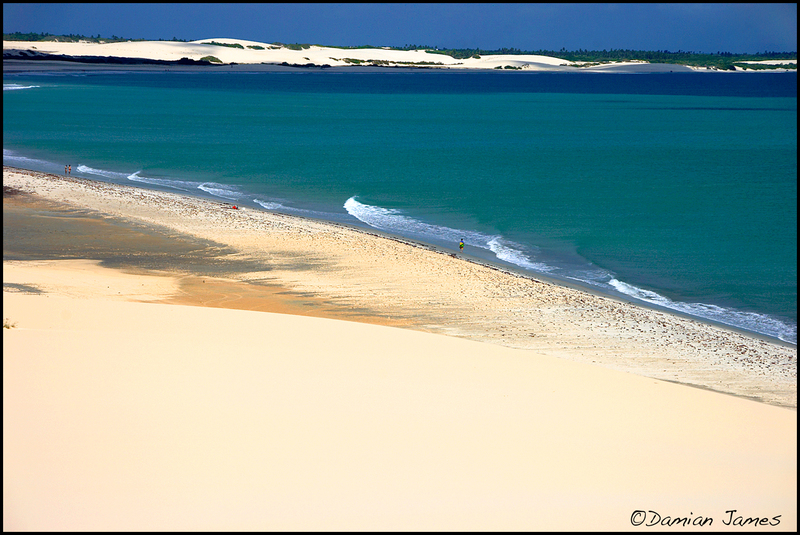 Those who want to enjoy other outdoor activities can grab their sandboards and head over to Joaquina beach to hit the dunes or head to the inland lagoon to chill out on the water. The southern half of the island is more rustic and far less populated. Here you will find sleepy fisherman villages and a quiet countryside dotted with traditional Portuguese homes and red roof-tops in the style of the original Azorean settlers. Like I said…something for everyone, hard to pack up and leave. I had planned to go for two days, ended up staying for five. Would have stayed six months like the Australian tourists do if I could have, but that job thing always finds a way to ruin my extended travel plans. So keep your itinerary flexible. The tourist boom has already begun to shake in Foripa, but that’s no reason not to go and share in the good vibrations! 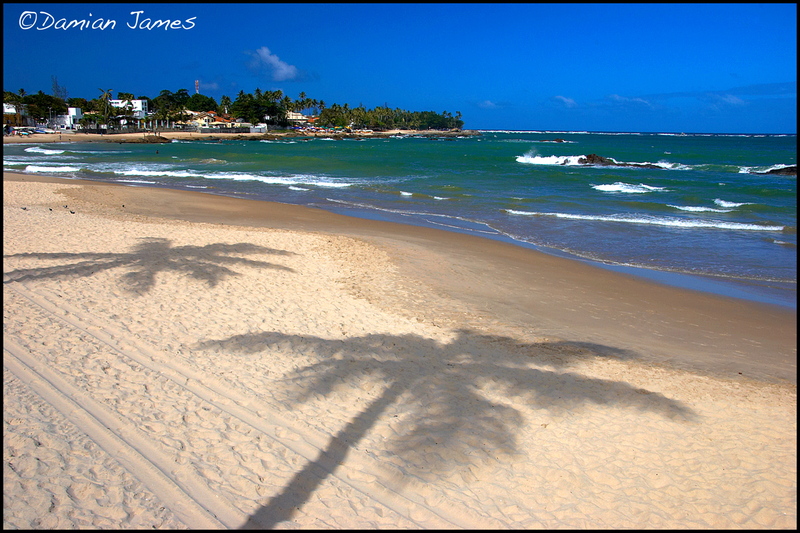 BEAUTIFUL -LOVE LOVE LOVE BRAZIL! STUNNING PHOTOGRAPHS. Thanks Elaine! It is a wonderful country…so unique, beautiful, friendly and diverse! I have been to some of those places, and hope to visit the rest in the future. GREAT photographs!! !